Countdown to TradeCentre: Zuccarello leaving Broadway? The National Hockey League's Trade Deadline is on Monday, Feb. 25, and teams will be making decisions on whether to buy or sell and decide which players can make the biggest difference and hold the greatest value. Check out the latest trade rumours and speculation from around the NHL beat. 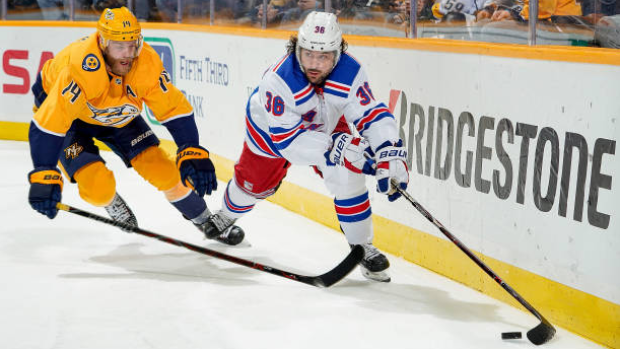 New York Rangers forward Mats Zuccarello said after Saturday's 5-0 loss that his pending free agent status has begun to impact his play on the ice. “I’m a human being, so obviously it has been on my mind and I’ve allowed it to get into my head, probably too much,” Zuccarello said Saturday. “When it affects my game the way it has been, that’s on me; I shouldn’t have let it get to that point. Zuccarello was ranked at No. 11 on latest TSN Hockey Trade Bait board and has been the subject of trade speculation throughout the season in New York. Larry Brooks of The New York Post believes Rangers general manager Jeff Gorton should jump at the first legitimate trade offer and end the "waiting game" between the two sides. Brooks believes the Rangers' bye week, which leads into the All-Star break later this month, would serve as an ideal time for the franchise to trade the veteran winger. Zuccarello, 31, has four goals and 14 points in 28 games this season with a minus-20 rating and has a $4.5 million cap hit. The Rangers (17-17-7) have lost three straight games and sit nine points back of the Buffalo Sabres for the final wild-card spot in the Eastern Conference. Patrick Maroon took a discount to sign with his hometown St. Louis Blues in July, but has three goals and 11 points in 32 games and was a healthy scratch for the third time this season on Saturday night. Jeremy Rutherford of The Athletic believes the last-place Blues will likely trade Maroon ahead of the trade deadline and notes his contract may to blame for Maroon not being moved already. As Rutherford points out, Maroon has a full no-trade clause in his contract until Jan. 31, when it then drops to an eight-team no-trade list until the deadline. 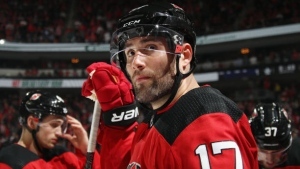 Maroon was traded from the Edmonton Oilers to the New Jersey Devils at the trade deadline last season for prospect J.D. Dudek and 2019 third-round pick. A source told Rutherford the Blues can likely expect a fifth-round pick back if they choose to trade Maroon this season. Maroon, who carries a $1.75 million cap hit this season, is one of three pending unrestricted free agents on the Blues, along with defencemen Jay Bouwmeester and Carl Gunnarsson. With starter Martin Jones sporting an .897 save percentage this season, Paul Gackle of The Mercury News believes the San Jose Sharks could be forced to look for rental help to boost their playoff chances. Jones is 18-8-4 this season, but his save percentage and goals-against average (2.88) are career-worst marks. Backup Aaron Dell hasn't posted better numbers, posting a 5-5-3 record with an .890 save percentage and a 3.10 GAA. Gackle believes giving AHL goaltender Josef Korenar a look could be an option for the Sharks, but argues the more likely option would be the Sharks trading Dell to acquire a veteran netminder this season. He also points out that either Korenar or fellow San Jose Barracuda goaltender Antoine Bibeau could take over as Jones' backup next season, meaning the team can afford to only invest in a rental. Gackle points to Detroit Red Wings goaltender Jimmy Howard, Brian Elliottt and Michal Neuvirth of the Philadelphia Flyers, New Jersey Devils starter Keith Kinkaid and Carolina Hurricanes netminder Petr Mrazek as potential options for the Sharks.